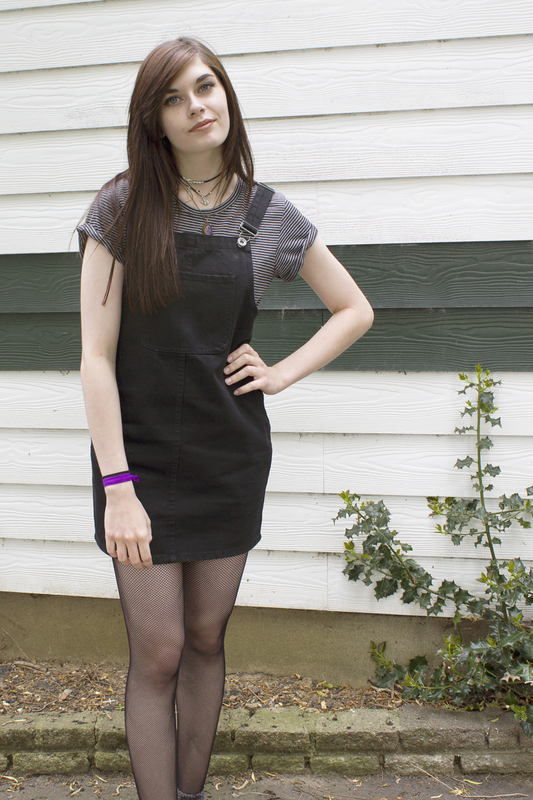 It feels like it’s been so long since we had a fashion post up on the blog! 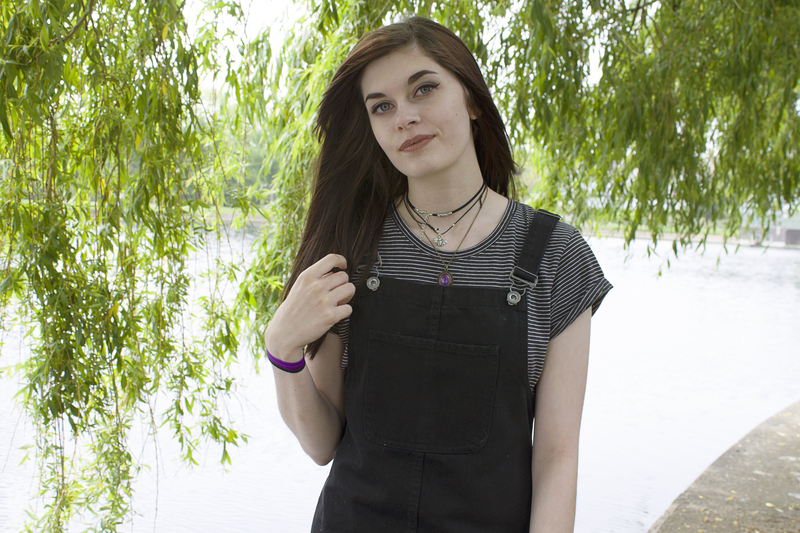 They’re our favourite type of post to do and as bloggers, one of the best ways to spend a nice day is to go out and take fashion photos in the sun! It’s always quite difficult to make time since we’re always so busy, or the weather is rubbish but we recently managed a trip to the park with the boyfriends. 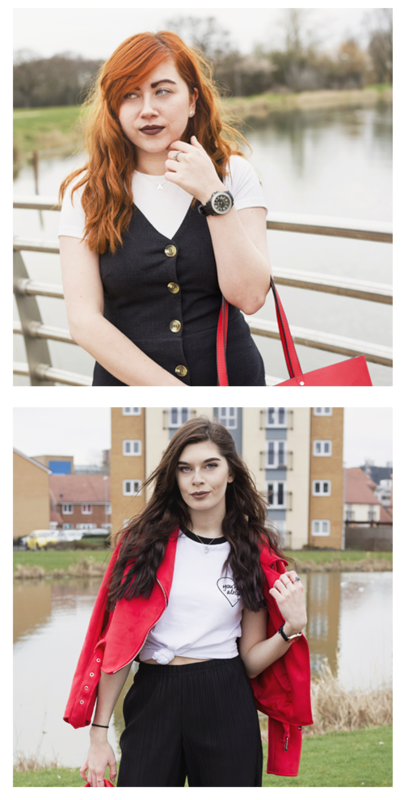 We thought it was the prefect opportunity to take some photos and show you how we style a black pinafore, a staple in our wardrobe recently! 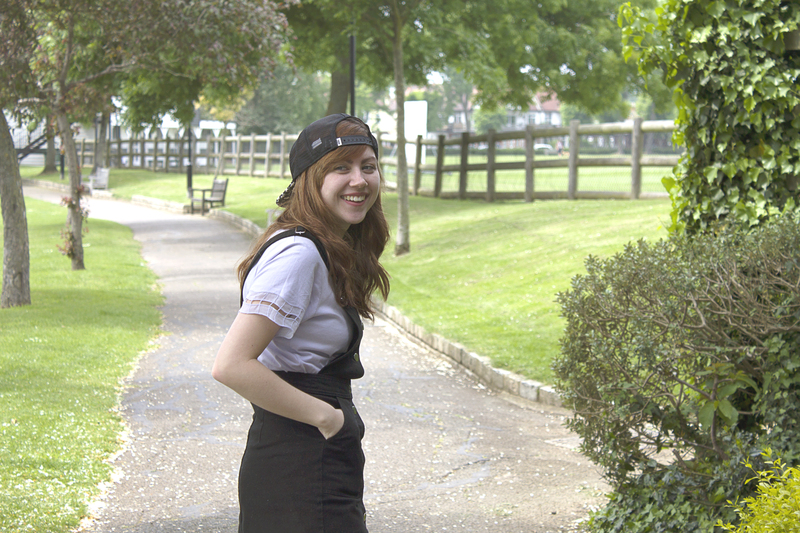 We love a good pinafore, they can be styled in so many different ways and as some of you probably know already, we don’t really wear much colour so we both love black denim pinafores! 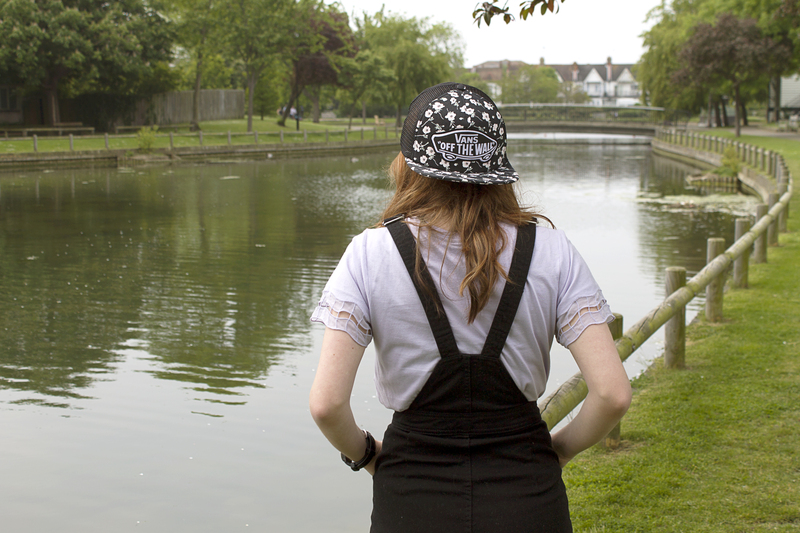 I love how when it comes to pinafore dresses there are so many different styles. 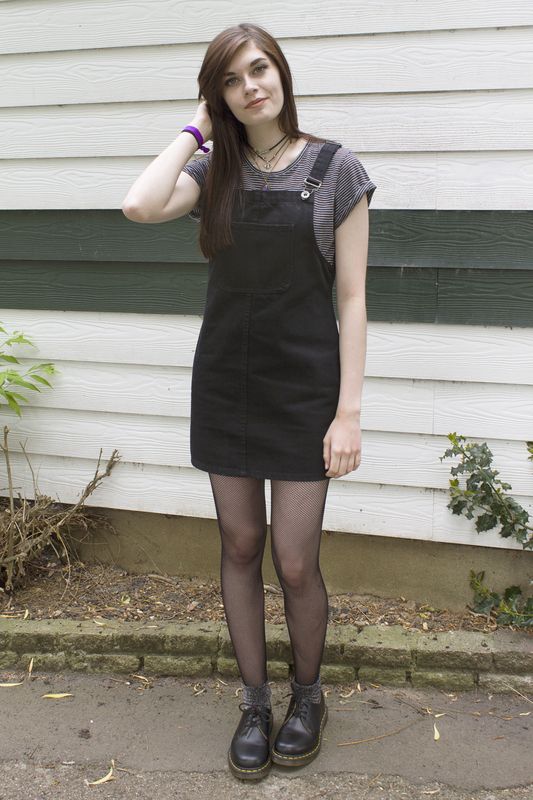 I found this pinafore on a recent shopping trip to H&M and I hadn’t seen any similar to it before. 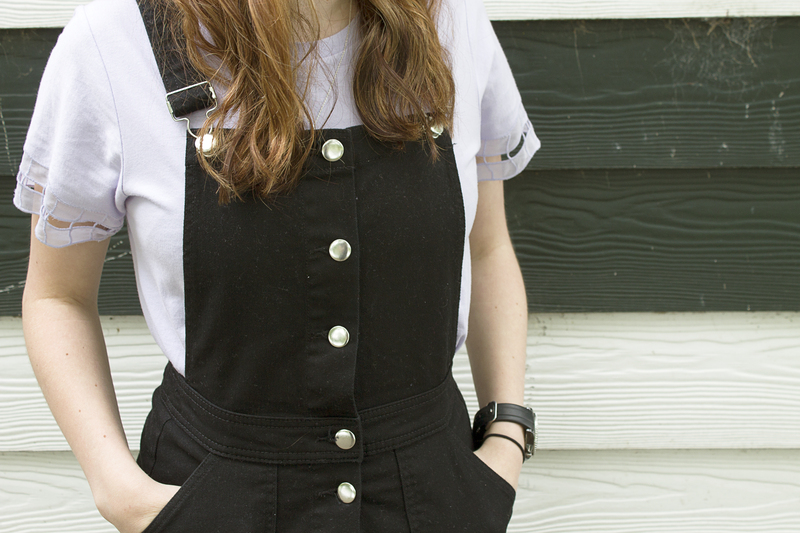 I love the button detail down the front, I feel like the style of this pinafore gives you more of a shape compared to the standard straight cut pinafore. I’ll be honest, I’m not really a fan of colour but I decided to try and brighten this look up by popping a lilac tee under my pinafore. I bought this in the Topshop sale a few years back now but they tend to sell similar styles each year! Also, as Summer is upon us (well it’s supposed to be) it feels like it’s no longer acceptable to go out wearing a beanie. 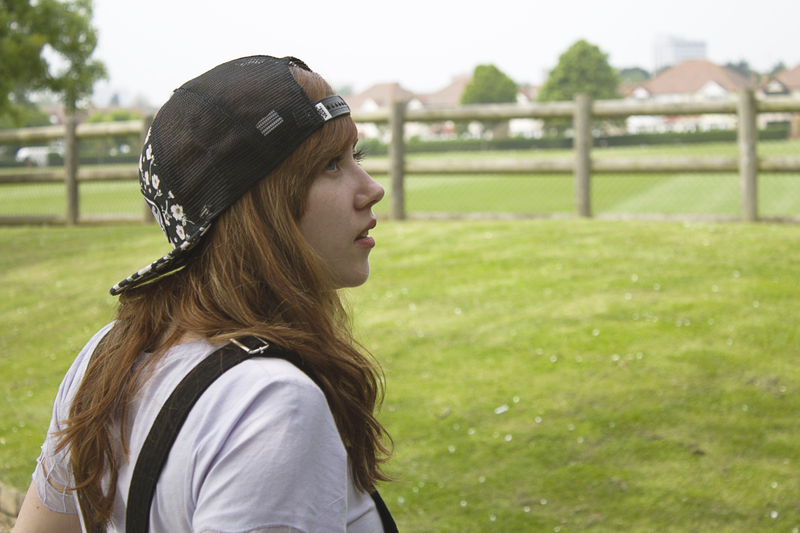 I bought this snapback in the Vans sale recently for around £13 pound as I thought it would be perfect to wear in the hotter months! I’m not entirely sure if it suits me but hey ho, it’s good to try something a little different right?! I feel like wearing it kinda completes an outfit too! Now if you’re going to wear a Vans hat you HAVE to wear Vans on your feet, it’s a rule okay?! What’s better than a pair of white and black old skools?! I must own around 10 pairs of Vans now but these will always be my favourite! They’re an absolute classic. That being said I’ve owned them for over 2 years and they still kill my poor feet. My wardrobe is slowly filling up with different pinafores! 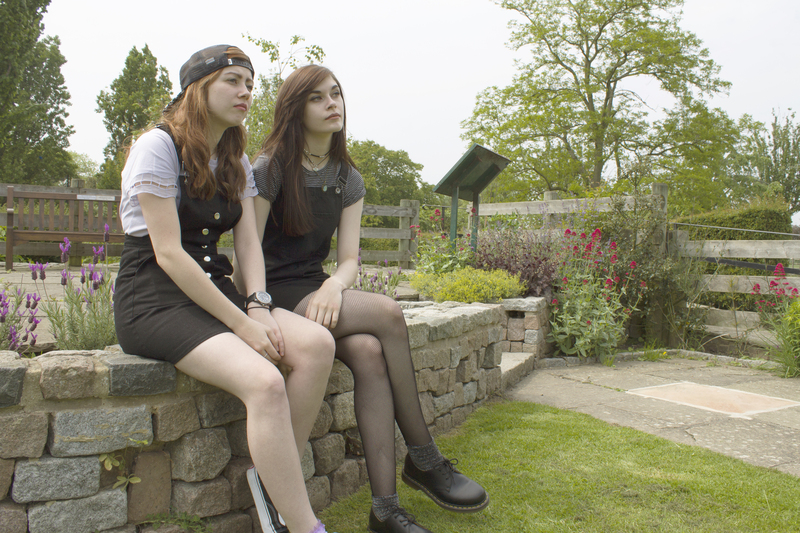 I just love how they’re basically dungarees in dress form and they look really casual and cute. I’ve been looking for a plain black denim one for a while and I recently found this one in Primark. It was exactly what I wanted and at £12 I couldn’t not buy it! I styled this with a basic grey and black striped tee, again something I bought recently that I’d been looking for for ages and love! I love the thin stripes and the rolled up sleeves on it and it goes great with the black denim. 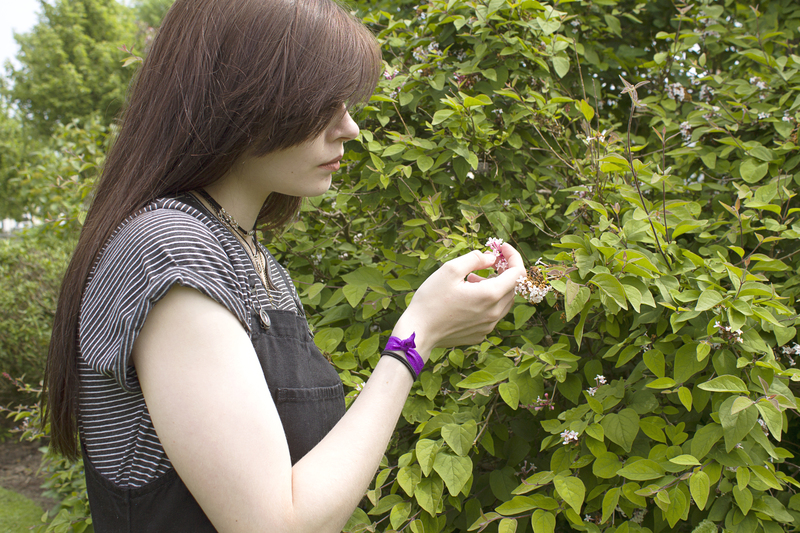 It’s quite a thin material too which is perfect for the warmer weather (when we actually get it!). It also goes well with a skirt or a pair of jeans and I love when an item of clothing is so versatile, it makes choosing an outfit so much easier! I completed the outfit with my black Dr Marten shoes along with some fishnets and sparkly socks. Sparkly socks complete my life I honestly love them! They look so good over thin tights or fishnet tights, I really think without them my outfit just wouldn’t look right! I love my Docs shoes because they look smart but they’re also known to make a more ‘edgy’ look now which I love. I like how the grey in the top and the socks go together to break up the black a bit. Sometimes you just need something to ‘brighten’ up a black outfit, but this isn’t too colourful which is good! It also means I won’t be way to hot when the sun gets me! 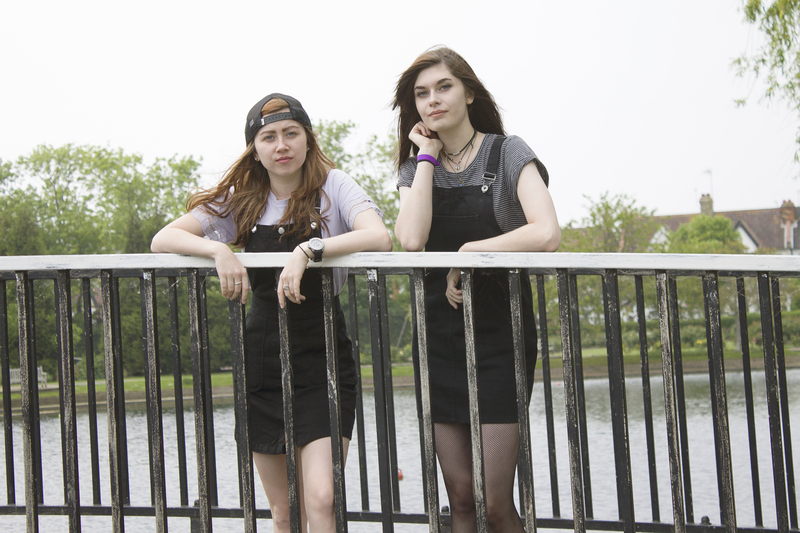 So that’s our way of styling a black pinafore! 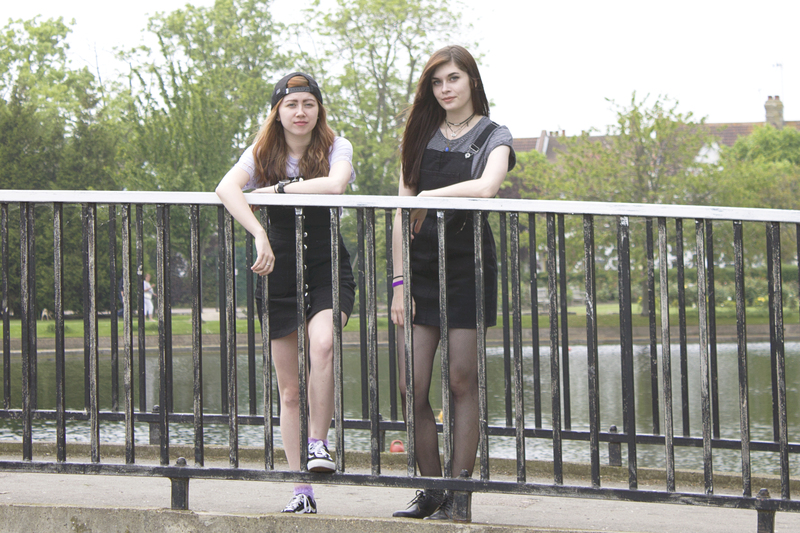 Who knows maybe in the next fashion post you might see us wearing some colour (unlikely but hey!). 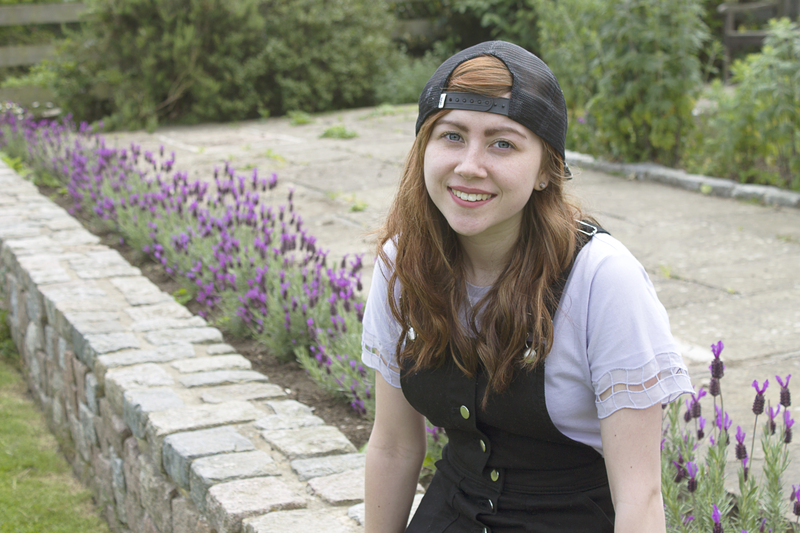 Here’s to hoping now uni and college are almost over we have loads more time to take outfit photos! 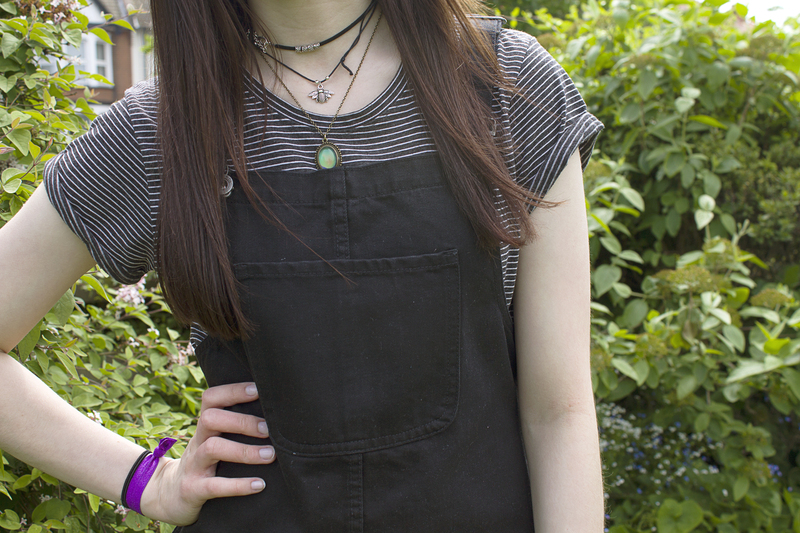 Wish I was shaped a little more like you girls, because I actually have a pinafore but I look very chubby in it. Booo.